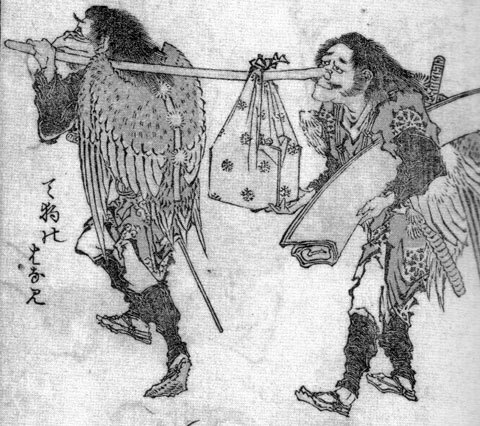 Among the more celebrated Japanese tricksters are the Tengu. These peculiar half-human, half-bird (sometimes hawk-like, sometimes more vulture) creatures are famous for their love of sake and their abilities with the sword. 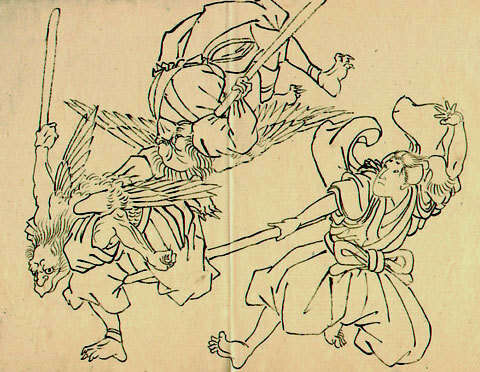 In fact, part of their mythology is that the tengu created the unique Japanese style of kendo, and were responsible for teaching it to Japan's greatest epic heroes. Minamoto no Yoshistune, the very handsome (and historical) hero of the Heike Monogatari was alleged to have been instructed in the art of the sword by tengu teachers. The tengu are also wonderful mischief makers. They are known to shapesift into yamabushi (Japanese monks) in order to travel among human beings (and also to play tricks on impious monks at times). They have carted off naughty children and either educated them into something more heroic, or made them pay the consequences for their behavior. They have arrived in the nick of time to rescue floundering heroes, and they have gotten ridiculously drunk in various inns. The art surrounding them is terrific -- sometimes they appear in the lavish epic style of Kuniyoshi's richly colored prints and other times in the hilarious pen and inks of Hokusai. 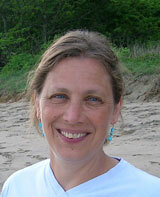 They are also depicted with absurdly long noses with which they produce calligraphy, balance bowls, and carry bundles. Art: Top is by Kawanabe Kyosai, middle is by Utagawa Kuniyoshi, and the bottom is by Hokusai.